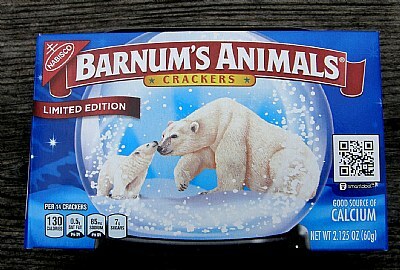 About Barnum's Animal crackers have been around for a long time. Bear is edible but stringy and dry. Best if smoked or cured and made into jerky. I too as a kid ate boxes of these and they were red but now due to marketing they changed decor boxes. There is a photo of an earlier box in my photos somewhere. to buy these for me in the Supermarket. The Bear on the cover here looks a lot like the Bear in the background on your self-portrait Ernie, maybe a little whiter though like a Polar Bear. Anyways I here Bear tastes good, but I've never eaten any. I have seen these in some of the stores in my area. I remember buying them in the red boxes when I was a kid.